After a surgery to remove a Lymph Node and a call days later from her surgeon saying her Castlemans Disease has returned, Susie is now in a fight for her life. We need your help! Please read more to help her get the treatment that saved her before. Susie is an Elementary School teacher here in South Florida, a Barista at Starbucks part time and a beautiful daughter with a belief that she was born to help others. Now we are asking others to help her. After recently having a large lymph node removed, pathology came back that it was Castlemans Disease. She is facing the Castlemans Battle for the “2nd time” in her life. As you will read below, Dr. van Rhee is our hero and one of several people who we attribute the saving of Susie’s life in 2003. He is one of the only doctors treating this disease in the US and the only one that we entrust to save our daughter's life once again. Susie is scheduled to fly to Arkansas in mid-September to meet with Dr. van Rhee. In the interim, we know from last time that insurance does not cover things like airline tickets, hotels, transportation, certain parts of treatment, etc. We had to do fund raising last time and thanks to the help of hundreds of people and organizations, most of who we did not even know, we raised enough money to keep Susie flying to Arkansas every two weeks and also cover the majority of the tests that were not covered at that time. At this point we can only base everything on what we know from last time. The one thing we know is Susie needs all of our help financially, emotionally and all the prayers she can get. We pray she has the same positive results this time around as she did last time. We’re not sure what this will mean for her career but as long she is here to tell the story and help others, she will deal with the rest. She has a very loving family here to support her and help get her through this. We’re praying that good people will reach out and do great things so we can get Susie what she needs to give her the best chance at making it through this again. A little history: It was May of 2003 when Susie first heard the word “Castlemans”, a.k.a. “CD” after being ill for several months. The local doctors best guess was that Susie had 2 years to live if we did not find treatment. They had resort to the medical dictionary to even figure out what it was. Doctors locally could only “guess” at what to do to treat her and for us, guessing was not acceptable. Back then when you did a Google search for Castleman’s, only one link came back. It was a link that talked about a person by the name of Jim Johnston that talked about his bout of CD. We spent days and days trying to learn more about a disease that a doctor locally gave her 2 years to live without treatment. After weeks of making phone calls and searching on the web we finally reached out to Jim Johnston and he told us about a place called ACRC in Little Rock, Arkansas that had a clinical trial going on for Rheumatoid Arthritis and it was showing somewhat promising results for Castleman’s. If it wasn’t for Jim Johnston and the single hit we obtained on Google, Susie may not be here today. Long story short, we got Susie to Arkansas and saw a doctor by the name of Dr. Frits van Rhee. She was formally diagnosed with Multicentric Castleman’s Disease (MCD). We were told she was one of less than 80 reported cases in the US at that time. Wow, we see more people in a grocery store than there were cases of this form of CD. It was mind blowing to even try and grasp that. We agreed to the clinical trial as it seemed this was the only option to save Susie from this dreadful disease. At that time ACRC now known as UAMS were the only people in the US we could find that even knew anything about CD. It would require her to fly from South Florida every “2 weeks” until further notice. 46 trips to Arkansas later, Susie’s test came back clear and she was considered in remission. Susie at the time was the poster child for this disease and had the best results on the Clinical Trial. That brought emotions of happiness and sadness. Happiness for Susie and sadness as we saw several people who were not as fortunate. Fast forward to August 2016. After a PET Scan with high SUV ratings on a very large lymph node in her left axilla (arm pit), she had the node surgically removed. Days later the surgeon called and told Susie the pathology results came back as Castlemans. 10+ years of remission, a successful career in education and a beautiful life ahead of her and it all came to a screeching halt with a single phone call. The only thing that helps to get us all through it again is the fact we know we have a doctor that has long been considered a hero, Dr. Frits van Rhee to help her hopefully get through this, again. We will be updating this page as Susie meets with Dr. van Rhee and starts to receive treatment. If you are one of the ones that has helped, you can follow the progress and know because of “you”, Susie is able to get the best chance she can at fighting this disease again. We will acknowledge every donation and if there are any monies leftover at the end, they will be donated on everyone’s behalf to finding the cure for Castleman’s Disease. On behalf of Susie and her family, we want to thank you in advance for your generosity, your prayers and your gift of life. Susan Foster - Fight for her Life! After a surgery to remove a Lymph Node and a call days later from her surgeon saying her Castlemans Disease has returned, Susie is now in a fight for her life. We need your help! Please read more to help her get the treatment that saved her before. Susie is an Elementary School teacher here in South Florida, a Barista at Starbucks part time and a beautiful daughter with a belief that she was born to help others. Now we are asking others to help her. After recently having a large lymph node removed, pathology came back that it was Castlemans Disease. She is facing the Castlemans Battle for the “2nd time” in her life. As you will read below, Dr. van Rhee is our hero and one of several people who we attribute the saving of Susie’s life in 2003. He is one of the only doctors treating this disease in the US and the only one that we entrust to save our daughter's life once again. Susie is scheduled to fly to Arkansas in mid-September to meet with Dr. van Rhee. In the interim, we know from last time that insurance does not cover things like airline tickets, hotels, transportation, certain parts of treatment, etc. We had to do fund raising last time and thanks to the help of hundreds of people and organizations, most of who we did not even know, we raised enough money to keep Susie flying to Arkansas every two weeks and also cover the majority of the tests that were not covered at that time. At this point we can only base everything on what we know from last time. The one thing we know is Susie needs all of our help financially, emotionally and all the prayers she can get. We pray she has the same positive results this time around as she did last time. We’re not sure what this will mean for her career but as long she is here to tell the story and help others, she will deal with the rest. She has a very loving family here to support her and help get her through this. We’re praying that good people will reach out and do great things so we can get Susie what she needs to give her the best chance at making it through this again. It was May of 2003 when Susie first heard the word “Castlemans”, a.k.a. “CD” after being ill for several months. The local doctors best guess was that Susie had 2 years to live if we did not find treatment. They had resort to the medical dictionary to even figure out what it was. Doctors locally could only “guess” at what to do to treat her and for us, guessing was not acceptable. Back then when you did a Google search for Castleman’s, only one link came back. It was a link that talked about a person by the name of Jim Johnston that talked about his bout of CD. We spent days and days trying to learn more about a disease that a doctor locally gave her 2 years to live without treatment. After weeks of making phone calls and searching on the web we finally reached out to Jim Johnston and he told us about a place called ACRC in Little Rock, Arkansas that had a clinical trial going on for Rheumatoid Arthritis and it was showing somewhat promising results for Castleman’s. If it wasn’t for Jim Johnston and the single hit we obtained on Google, Susie may not be here today. Long story short, we got Susie to Arkansas and saw a doctor by the name of Dr. Frits van Rhee. She was formally diagnosed with Multicentric Castleman’s Disease (MCD). We were told she was one of less than 80 reported cases in the US at that time. Wow, we see more people in a grocery store than there were cases of this form of CD. It was mind blowing to even try and grasp that. We agreed to the clinical trial as it seemed this was the only option to save Susie from this dreadful disease. At that time ACRC now known as UAMS were the only people in the US we could find that even knew anything about CD. It would require her to fly from South Florida every “2 weeks” until further notice. 46 trips to Arkansas later, Susie’s test came back clear and she was considered in remission. Susie at the time was the poster child for this disease and had the best results on the Clinical Trial. That brought emotions of happiness and sadness. Happiness for Susie and sadness as we saw several people who were not as fortunate. Fast forward to August 2016. After a PET Scan with high SUV ratings on a very large lymph node in her left axilla (arm pit), she had the node surgically removed. Days later the surgeon called and told Susie the pathology results came back as Castlemans. 10+ years of remission, a successful career in education and a beautiful life ahead of her and it all came to a screeching halt with a single phone call. The only thing that helps to get us all through it again is the fact we know we have a doctor that has long been considered a hero, Dr. Frits van Rhee to help her hopefully get through this, again. We will be updating this page as Susie meets with Dr. van Rhee and starts to receive treatment. If you are one of the ones that has helped, you can follow the progress and know because of “you”, Susie is able to get the best chance she can at fighting this disease again. We will acknowledge every donation and if there are any monies leftover at the end, they will be donated on everyone’s behalf to finding the cure for Castleman’s Disease. On behalf of Susie and her family, we want to thank you in advance for your generosity, your prayers and your gift of life. December 15, 2016: After going through 8 rounds of infusions, we returned to Little Rock for more testing and a meeting with the doctor to get the results. After a very intense few days and a lot of praying, we received the news we were hoping to get, Susie's Castleman's Disease is no longer active. Wow, what a Christmas present!! Susie will be going through ongoing testing on a monthly basis locally. In 6 months she returns to Arkansas for another round of scans, extensive bloodwork and a follow up with Dr. vanRhee. Keep checking back as we will be posting updates as Susie's journey continues. We want to thank all who have helped financially, spiritually and emotionally. It is thanks to you that Susie was able to get the treatment she needed to get her on the road to remission. We will be keeping the Fund Raising page active as Susie is still facing a lot of expenses for upcoming testing, travel, medical bills, etc. Thank you to all who have helped make this possible. 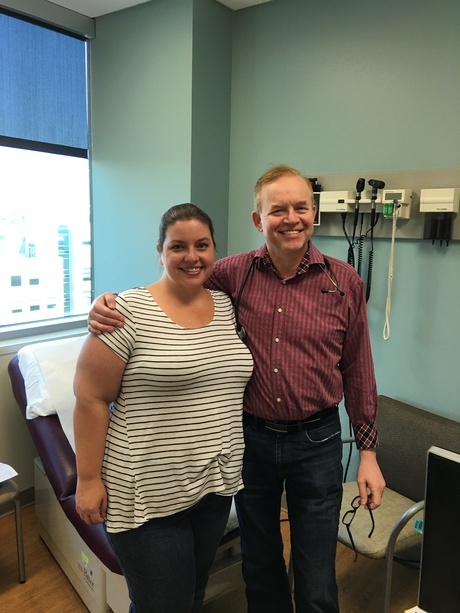 Update 1 - September 14, 2016- After a very intense and painful 2 days of testing this week, Susie was finally reunited with the doctor that saved her life in 2003, Dr. Frits van Rhee. We saw him just a few hours ago and it is believed her disease is in the early stages. The first attempt towards treatment will consist of 8 weekly rounds of a drug that is commonly used for cancer patients. She will be able to receive these treatments at home but this will require her to miss work at least once a week. She will then return to Little Rock for another round of testing and to see if the treatments are working. If they are, she will be tested quarterly in Little Rock to monitor the status of the Castlemans Disease. In the event this drug is unsuccessful, she will be placed on another drug for at least a year and monitored very closely. At this point, only time will tell what the future holds for Susie. She thanks everyone for their continued love and support! Patti Ferullo2 years ago Merry Christmas with love! Tonya Cook2 years ago Susan, Joe Ferullo is my cousin Amie's husband and joined our family Christmas drawing this year. Joe's wish was to have whoever picked his name to contribute to your fund for fighting this disease and hoping you get better. I wish you the best and hope they find a cure for this disease. Best Wishes! James h Schmitz2 years ago Best wishes. Mindy Watson2 years ago Best wishes. Im praying for you and speedy recovery. My thoughts are with you.